Services – We Work on ALL Models! Schedule a service for your unique soft water needs! We can do it all! 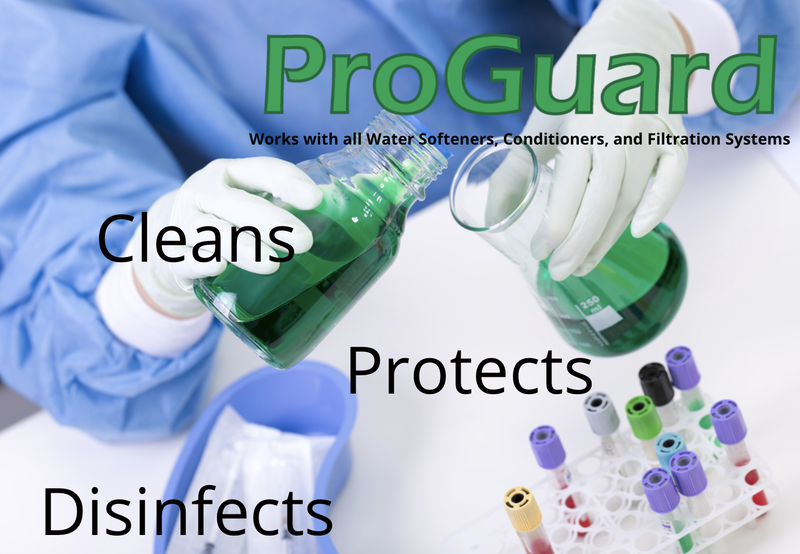 ProGuard is an innovative compound that cleans, disinfects, and protects water softening, conditioning, filtration and purification systems when applied by a water treatment professional. Water softeners process thousands of pounds of calcium along with countless amounts of other metals and minerals every single year to protect you from hardness scale accumulation and the harmful effects of calcium and soap interactions. 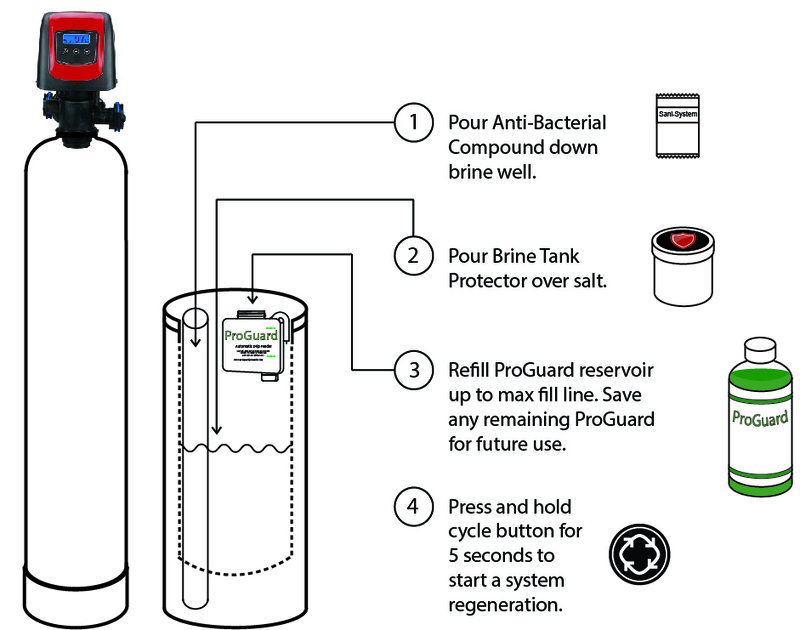 Since your water softener is incessantly exposed to salt and hard water, it is constantly being abused by minerals and metals while also being exposed to halophilic (salt-loving) bacteria as well as various airborne molds, yeasts, and fungus that can exist in the air and settle in a brine tank. The Crusader Cleaning and Disinfection Kit is designed to provide a simple, safe, and effective method for disinfecting Ion-Exchange-based Water Softening, Conditioning, and Filtration Systems.